An invitation to an event where the venue is a Presidential suite, and that too at one of the fanciest Hotels in Doha is not something you can easily say yes to. You can't definitely say no to it as well! It has to be a yes someway or the other, and that's what it was! Obviously, only a reveal of something really exciting can be at the Presidential suite of Marsa Malaz at The Pearl. So, I headed there last Wednesday evening, and was more than happy to be part of it. Well, you must now be curious as to what I have been holding on to without revealing. Taking the vacation experience to a whole new level , the Aspen Chalets that was introduced is a new concept of hotel within a hotel. Not only, is it that but you can now have a view of snow, and experience the warmth of a fire place for real for the first time in the GCC. Now, how cool is that? We got a glimpse of what it looks like through the Samsung Gear VR, and for a moment we all had ski Dubai in front of us. 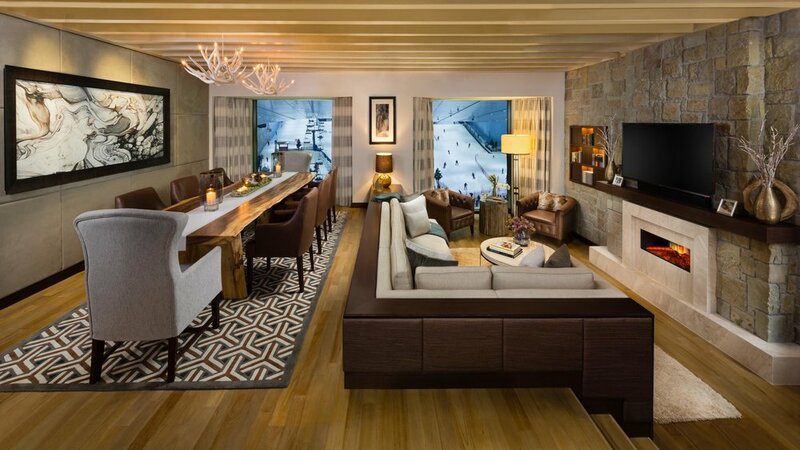 The Aspen Chalets boast all the comforts of a ski lodge with the warmth of world-class service. A dichotomy between snow and sun, the charming chalets offer discerning cosmopolitan guests spectacular views of the wintery slopes of Ski Dubai, or the calming waters of the outdoor infinity swimming pool. 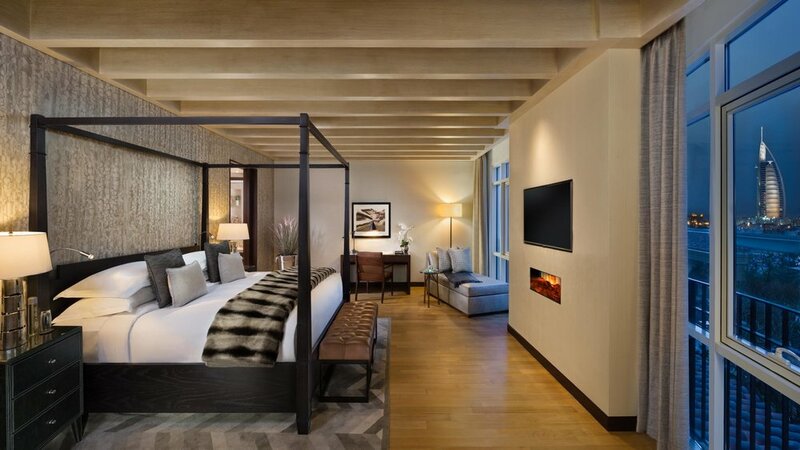 Guests will be able to choose from a one, two, three bedroom or duplex Aspen Ski Chalet, or one bedroom Aspen Pool Chalet. 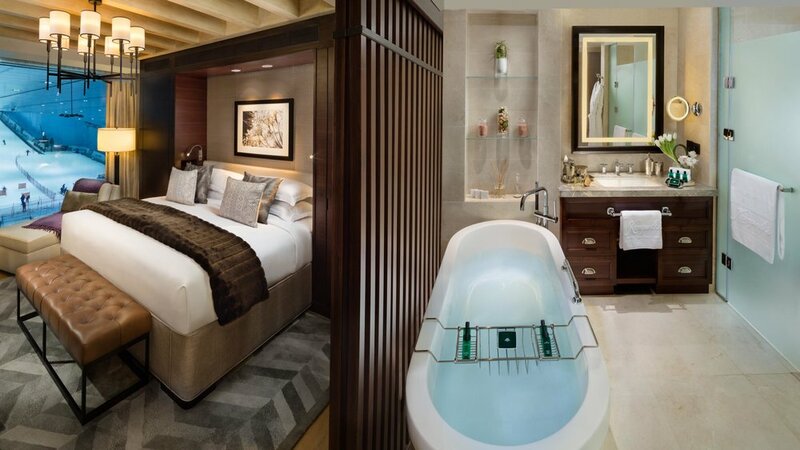 The rooms, which all come with access to the exclusive Executive Lounge, feature spacious marble bathrooms and luxurious Hermès vanities. Not just that, before I walked out of the event the Hotel had graciously invited all of us to experience a complimentary 2 night stay at one of the Aspen ski chalets. That is an experience I am looking forward to! Another reason to get back to Dubai pretty soon! Seeing all these pictures, don't you think it would be a fairy tale trip? Let me know your thoughts in comments. Disclaimer: All pictures and the video shared in this post are courtesy of the Hotel.